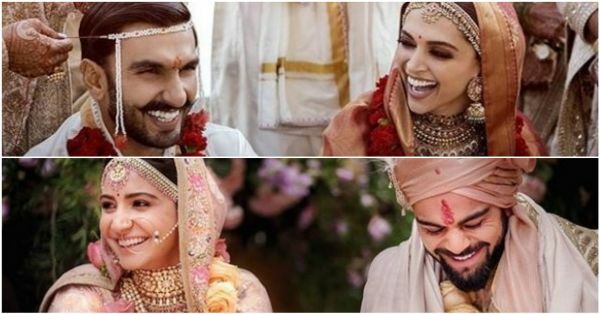 8 Similarities Between The DeepVeer And Virushka Weddings We Bet You Didn't Notice! Ranveer Singh and Deepika Padukone's much-awaited wedding took place on 14th and 15th November in Lake Como, Italy. The stunning couple gave us a glimpse of their private ceremonies last night which, expectedly, took the internet by storm. Even though Deepika and Ranveer's wedding was super intimate (and QR protected!) we still managed to dig out 8 things that strongly reminded us of Virat and Anushka's wedding. From the stunning wedding destinations to the videographers, here are the major aspects that DeepVeer had in common with Virushka's wedding. Both the couples got hitched in Italy. Virat and Anushka tied the knot in December 2017 in Tuscany, Italy. 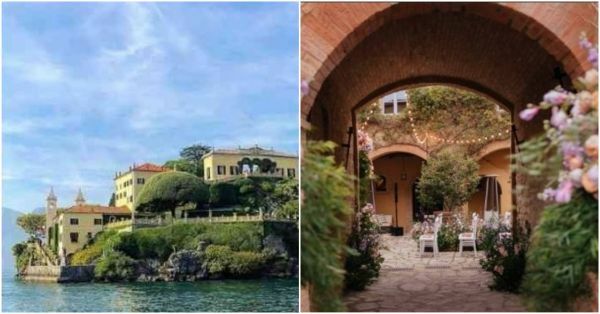 Deepika and Ranveer's wedding venue was just 387 kilometers away, in Lake Como. Whatta coincidence, no? Virushka's wedding was as private and intimate as DeepVeer's. It was a super hush-hush affaire, only for family and friends. Basically, the two couple kept their weddings very low-key and away from all the Bollywood glam-sham. 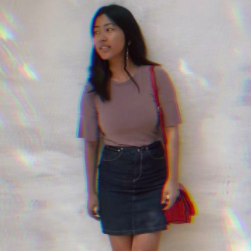 Yes, the couples shared the same videographer named "The Wedding Filmer" as the agency shared a post on Instagram which read, "How grateful I am for colours even if I can’t see them like you do @khicri #colourblind #theweddingfilmer #twftravels #italy." Both the bride and the groom wore Sabyasachi outfits - at Virushka's wedding as well as DeepVeer's. 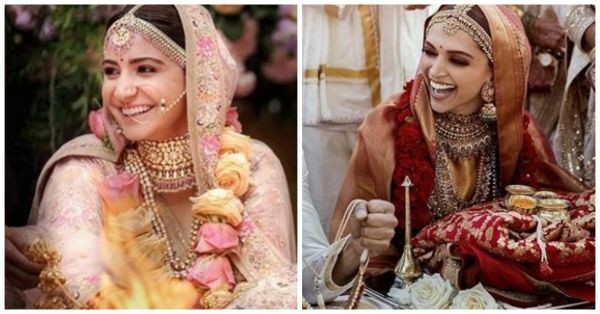 While both outfits set new shaadi goals for us, Anushka's dupatta had a zari embroidery on it, whereas Deepika's came with a customised dupatta with Sada Saubhagyavati Bhava written on it. There were no celebs at the DeepVeer wedding, except singers Harshdeep Kaur and Shubha Mudgal. Even Virushka only invited super close family and friends for their ceremony in Italy. The most surprising part? Even Ranveer Singh's B-town best friend, Arjun Kapoor, wasn't in Lake Como! Virat and Anushka hosted a beautiful wedding reception for guests in New Delhi and Mumbai. We've heard that Deepika and Ranveer will be hosting their receptions in Bengaluru and Mumbai on 21st and 28th November 2018, respectively. Virushka and DeepVeer both had beautiful outdoor ceremonies, followed by an after-party at night. Seems like they understood how important daylighting is for beautiful wedding pictures!